Light Meter is a tool for measuring Light illuminance value by using the light sensor of your device. It’s an easy way to check and compare the illuminance of different light sources. Very handy application for architects, interior designers, photographers, students and people who just want to determine the level of lighting in their home or workplace. 1. The application only works if your device has a light sensor, Some old devices doesn't have it. 2. Light sensor usually placed at the top left corner of your screen. 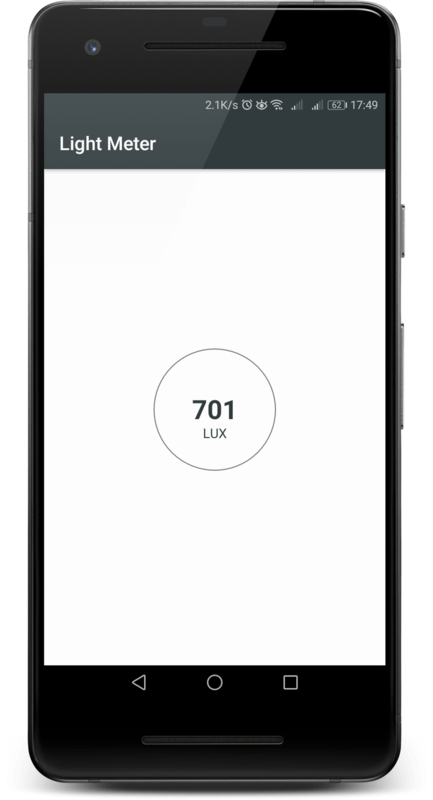 Keep it uncovered to check the light intensity by using lux meter. 3. The accuracy of the measurement depends on the accuracy of your device sensor. It may differ from real illuminance and between different devices. 4. For correct results hold your device steady and horizontal.